Previous Num Yummy….I smell holiday baking! Next A Christmas MeMe! 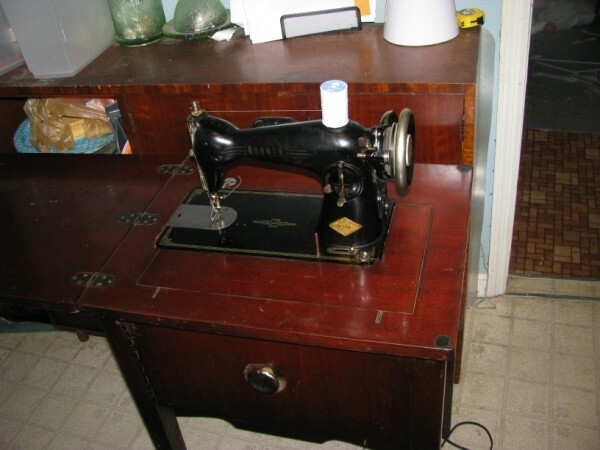 I have my Grandma’s old Singer- “the portable” electric that replaced her treadle machine. Bent hardwood case, cast iron, guilt wheat design. Works well. i’ve found that I can still replace the drive belt, but I haven’t had luck with the belt that works the bobbin winder, so I just work around it. Ohh, beautiful! Reminds me of my mother’s machine (a White). I think hers can only do a straight stitch also. Mine (another White, but a tad newer) will at least do a zig-zag, if nothing else. But whatever you do, make sure to buy a replacement belt that is bagged, not just hanging on the wall in open air; the unbagged ones will snap in a heartbeat because they’re dried out. This reminds me of my mother’s wonderful second hand electric sewing machine (c. 1050s) that could sew ruffles, blind hems, smock etc etc. She & I sewed clothes and toys with it for several years. 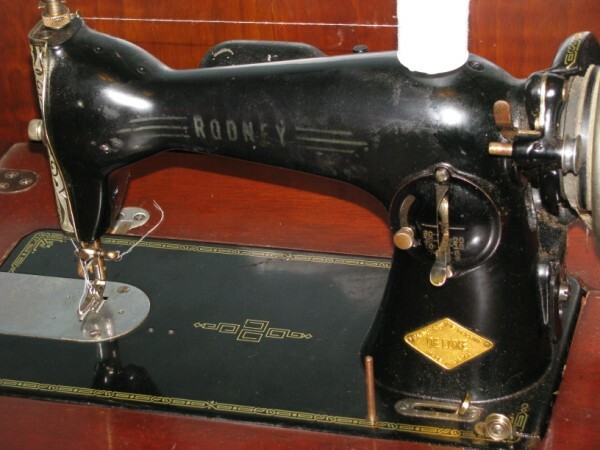 At college I got a hand-turned Singer (c. 1908) which only did a straight stitch, but helped me make pants & even a suit. Loved it.